Pacific Rim was full of giant monsters, giant robots, and giant sharp things to poke your eye out with. Sounds awesome, right? Well you know what's even more awesome? Super giant things in micro LEGO scale! 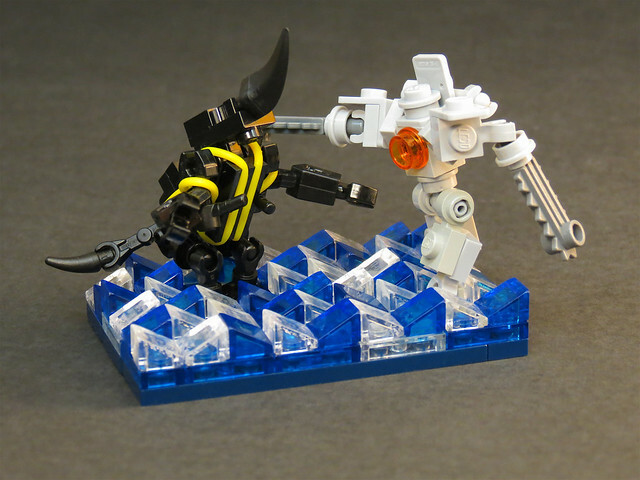 Grantmasters shrunk everything down to perfect proportions and managed to include an amazing amount of detail in the motion, texture, and coloring in this MOC. I mean, come on! Just look those yellow stripes on Knifehead!